My favorite musical is “Into the Woods” by Stephen Sondheim and James Lapine. I had the fortune of playing Little Red in high school and also wrote my college paper about how Sondheim had taken bits of music history (Wagner’s leitmotifs being my favorite) and wove it throughout the score. He also wove all the major fairy tales we learned as children into one big, dark and intriguing tale. My mother’s day gift was to see the national tour of Fiasco’s staging of Into The Woods at the Ahmanson Theater. My darling husband surprised me with 4th row seats (swoon) and I was skeptic but excited about the production. They had scaled it down visually and made it more abstract in appearance. The characters sat in chairs around the stage and played instruments when they were not active on the stage. I thought it could be awful and perhaps my favorite, over the top, musical would be ruined. It was wonderful. Without the big production to sidetrack my senses, I focused on the story more than I ever had. It was the first time I had viewed the show since becoming a mother, and really a true adult. If you haven’t seen it, the story is that all of the characters have a big wish for life. They have to venture into the woods (a metaphor for life) to try and “get their wish”. By the end of the first act, they each achieve that wish. The second act is about what happens when your wish isn’t everything you thought it would be. Sound familiar? I desperately wanted at least 2 children. We had fertility problems. This is a major theme in the musical. I could identify…. I saw the Baker and his wife confused about how to care for a baby once their dream was realized. This hit home with me. My tiny T is a handful with big dreams and feelings these days and I struggle with how to firmly yet kindly manage his wishes and desires. I have been working on how to mother him and feeling inadequate about my progress. I felt so invigorated after seeing my favorite show through fresh, time travelled eyes. My least favorite song in the show has always been “Children Will Listen.” I did not see how it fit with the story. I thought it was a pretty song woven in for beauty’s sake. This time, it brought tears to my eyes. How could I not have understood before? The entire show is about how to navigate through the woods of life and whether you choose the good, bad, easy or hard path. What can be more relevant in that plot line than guiding a child? Today for mother’s day, I am going to reflect upon these lyrics. I have already lost my temper when my tiny boy refused to sit through church. I could have been gentler. I could have focused on the gift and card he made me and gave me with such a glow in his eyes. I could have let it go instead of telling him how frustrated I was. Because they always listen and they feel so deeply. Thank you dear husband for that beautiful gift. I will share the lyrics with you mamas out there who may need the same reminder I did. ***I pulled pictures off the web from the Fiasco Tour’s Website. Some of the characters and cast have rotated roles or out of the show, but it gives you an idea of the feel of the show. My husband and I attended high school together. He is a year older. When we tell people we met in high school, they assume we were high school sweethearts. We were not, except for one, very brief, month. We reconnected when I was in a travelling children’s show that performed in Chicago, where he was living and working. We hit the town and I made him dance with me in a bar where no one else was dancing. He was both fascinated and appalled by what he calls my “show boating”. The bar, Matildas, is famous for its variety of martinis and I sort of believed I was both invincible and invisible after 2 of them. When I hit 3, I invited him to watch the show. I played a variety of characters from a witch, to an elephant, to a chef. My main costume was: a white turtleneck, white culottes, white tights, white tennis shoes, and a white apron. (You can see why I waited until the 3rd martini, no?) In one scene, I danced around making a pretend salad. In another, I pretended to be a mouse and ran around the stage making mouse noises. Patrick declined, and to this day, he regrets not going and witnessing that spectacle. This was our beginning. Patrick and I are both kind of dramatic. He one time told me that he could either be a good husband or a good father, but not both. I have no idea how he came up with this statement, or how he rationalized it, but there it was. He also told me that he would like to be the type of man who pulls off a regular hat. I only include this to give you an idea of how our conversations go and his mind set. I am not mocking, by the way. I love this. It fits us. Patrick has now been my husband for 8 years and a father for 9 months. He, like all other tasks he puts his mind to, has exceeded all expectations in both categories. We are not without disagreements and arguments, but he is mine and I would not trade him, even for Tim Riggins. While the list could go on for pages, these moments jump out at me regarding his character as a father and husband. For my birthday this year, a part of my present was him coming home from work early (meaning going in freakishly early) so I had time to run or do something on my own. He has always supported every endeavor of mine, encouraged and brainstormed many, and caught me when I began to fall. He went to almost every single prenatal visit and fully participated in child birthing classes. He never once left our side in the hospital except to go home and take care of our puppies. He takes shifts in the middle of the night, and actually wants to. He reads in character voices to Teddy for his favorite book, “Brown Bear”. He is the most optimistic human I have ever met when it comes to life’s potential. There is not a gift I could give that would be equal to my appreciation to this man, but here are a few gifts important men in my life have said make it a little sweeter. Here is a little list if you need some help for the upcoming celebration of fatherhood. 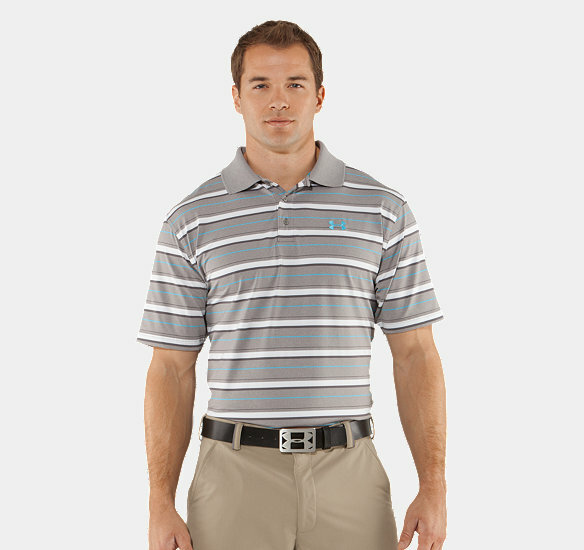 Under Armour Golf Shirts: these beat out the competition because of their loose fit and cool breathe technology. 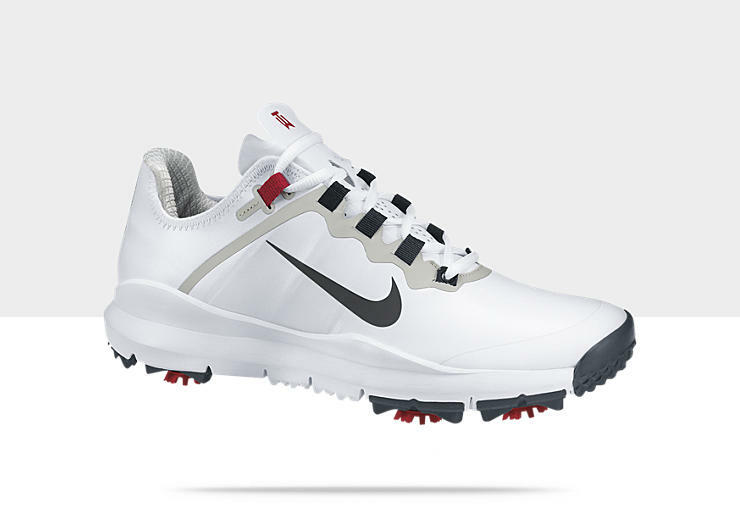 Nike Golf Shoes: The tennis shoe style breathes better. 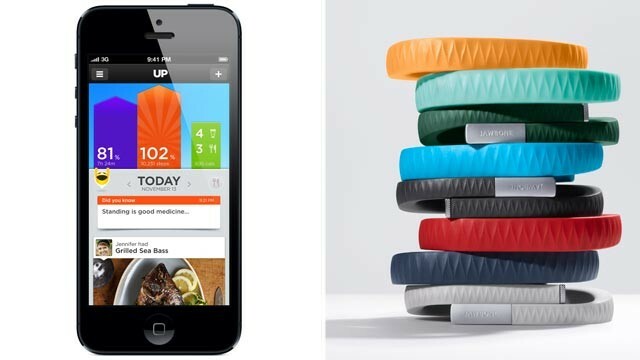 Jawbone Up: “UP is a wristband and app that tracks how you sleep, move and eat—then helps you use that information to feel your best.” –from jawbone.com. Great new tool for techies and cross fitters. Hugo Boss Ties: the quality is superior. They have a firm enough texture to stay tied nicely throughout the day. Also, not appropriate for Father’s Day weather, but he makes the most incredible velvet blazer I have ever seen. Neiman’s has them on sale. 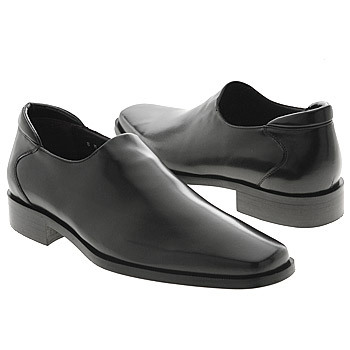 Donald Pliner Dress Shoes: I love my brother David’s sense of style and he will now only wear this dress shoe since discovering it. 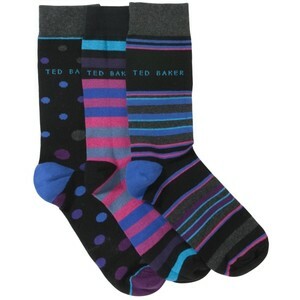 Ted Baker Socks: You have to love a bit of cheeky British whimsy for these. 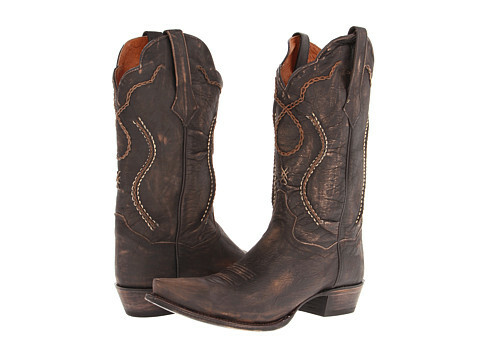 Cowboy boots: There is not a manlier, or sexier shoe out there. Plus, for any men who see themselves taller, there is a little lift in them. No worries, they will not look like Prince. Zappos.com upgrades your free shipping to overnight. 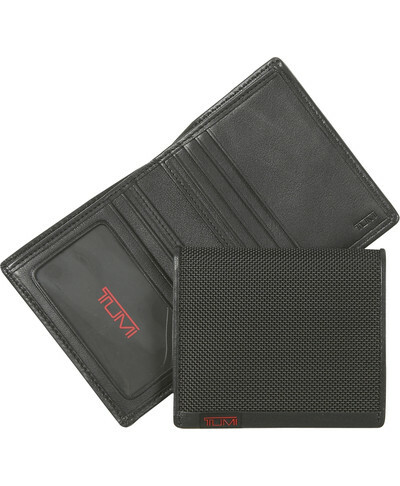 Tumi Wallets: Tumi is a luxury brand with a modern look. Their products last forever and their wallets are very reasonably priced. After Patrick washed (and ruined) the Gucci wallet I gave him, I bought him this. It has been washed and still is kicking 8 years later. Meoimi Wine: I am not a wine connoisseur by any means, but my brother is. He recommends this for a nice, well priced red. Gold Bond Lotion: It just works for man hands.